If ground clearance is your concern both the cars have 170mm u can choose any of them.Rest is up to you both vehicles have their own importance ,both are different categorie dezire is midclass sedan and baleno is hatchback, and both have equally powerful engine of 83bhp (petrol). Using Dzire 2008 till now having 190000km without much problem, tried baleno , equally good . Expandable booth space by folding rear seat. To my opinion, its dzire..
Go for brezza of all of these.I know but brezza is better for indian road conditions cause it has good ground clearance.So whenever a pothole come you don't have to panic brake. Dzire is a more practical car. Sometimes bootspace is impotant.Dzire gives premium sedan styling. Baleno is a premium hatchback. Excellent car (For soft usage) . Dzire is a sedan for rough & Tough usage . Baleno has a edge above Dzire as it offers more space and leg room. For Rough & Tough drive dzire . Soft & Sweet baleno. Listen it u want to go for better comfort and sedan then go for dzire . But if u want to go for compact hatchback the go for baleno or swift , i would suggest. 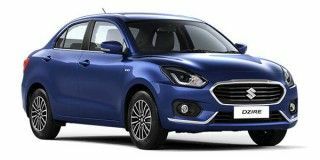 Both products are good in there segmant dzire is authentic sedan will feel u premium and baheno is sports oriented , technically both vehicle are same its depends on ur personality but obvious dzire have more plus points . BOTH- DIFFERENT CLASS! Just choose the class and you get the answer! Baleno is the better one out of the two, it is more spacious have larger leg room, more features. Looks are subjective and space requirements are all personal necessity. If you need a dedicated storage block, go for DZire. It is also fun to drive car with good handling. I think it's dzire ... it's more premium ...with better suspension...baleno is a little more value for money with better features even from delta variant which r missing in dzire vxi mid variant equivalent to delta. Baleno is more spacious . But i think dzire will surely give more owner satisfaction . Looks r subjective but to me dzire looks better than Baleno. Baleno is better any day..
Dzire is better than Baleno. No doubt, SZire is better to Baleno, for the price at which it is avalible. Both, different segment. Cost wise DZIRE a better choice! If you want better resale value.Better boot space and automatic in diesal.Go for DZire.If you want hatchback with manual gearbox than Baleno.My advice would be to go for DZire since it's pricing is almost similar and it AMT in diesal.If you peppy car to drive than Baleno with CVT gearbox petrol.Which gives less Torque also less fuel efficiency than diesal.Ho for DZire diesal AMT. Swift Desire running efficiently in the road more than a decade...Baleno just few years. See the popularity itself a reply. Go for dzire as it is sedan and offers more space for the luggage. For businesses purpose Baleno Petrol Base Version costs around 6.60 lakhs in Mumbai.and Swift Dzire Petrol Base Version costs around 6.57 lakhs in Mumbai.As a Dzire Owner I will suggest you go for Dzeri Petrol Base Version. B'coz it is pocket friendly for maintenance and repair. Would recommend Dzire as it has more storage space/bigger boot. Dzire my be preferred for the said limited run. Baleno is better choice between the two. Is more premium than Dzire. Dzire don’t get any more polished than this. A spacious cabin, comfortable ride, feel-good features and a hassle-free ownership experience - the Dzire promises it all! On the other hand, if you want to buy the Baleno because everyone else is, go ahead. It truly is a well-rounded package. We’re glad ABS and dual airbags are standard no matter what variant you choose.